Review games using clickers involve every student. This makes them them more exciting for everyone! I remember using the quiz bowl setup our school had to play review games in my classroom. It was a lot of fun for the 8 that actually had a buzzer in front of them, but for the other 16 kids without a buzzer in front of them...it wasn't nearly as fun! In addition to involving every student, review games using clickers aren't dominated only by the few students that know all the answers. This makes review games using clickers much more productive learning activities for all students. More students are likely to be motivated to participate and engage in a way that helps them learn. You have to admit, there are some really fun "special holidays" that can make for great fun at school. Big Whopper Liar Day is definitely one of them! No, we're not encouraging lying. 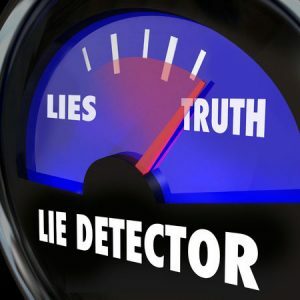 However, Big Whopper Liar Day is "officially observed" on September 20th, and what better way to "officially observe" this day than to play this fun review game using clickers? You might have heard of the game 2 Truths and a Lie, a very fun game often used as an icebreaker or as a "get acquainted" game. In fact, it is a great game to play with clickers in the beginning days of school. However, Two Truths and a Lie (or the Big Whopper Liar game, as we like to call it) is a great review game for any topic that you are covering. The Big Whopper Liar Game essentially requires students to review information in their notes or that they remember from the unit and come up with their own True/False questions. They must come up with two truths and one lie. If you don't trust the students to make up the questions, you can already have prepared the questions in advance. Using verbal mode, students choose A, B, or C as the lie. This isn't a game to play everyday, but it is a fun change of pace and most definitely a fantastic way to observe Big Whopper Liar Day on September 20th! 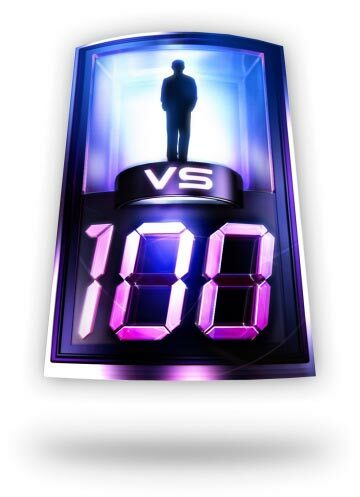 Special thanks to our former colleague, Frank Diaz, who shared this terrific idea for a review game using clickers based on the idea of the game show 1 vs 100. Frank worked with a group of kids at a high school in Edinburg, Texas. As an incentive, these students had been earning play money by completing lessons in Study Island in a lab setting. They were using the fake money to purchase pens, pencils, chips, candies, etc. On this day, Frank came in to play clicker games for an extra special money-earning day! Using the idea of the game show 1 vs 100, one student would write the answer to the proposed question on a piece of paper. When they had committed to their answer, the rest of the class would click in. If the person who wrote the answer down got it right, they would receive 5 dollars and additional money for each student who clicked in the wrong answer. If the person writing the answer got it wrong, they would lose their money, and their lost money would be split amongst those in the class who clicked in correctly. "Some of these kids are from some of the roughest and toughest neighborhoods in Edinburg and were a little rough around the edges, but when the game started and that first question was done...they saw how the game worked and they all became very excited and engaged. Even the quiet ones in the back started positioning their chairs so that they could get a clearer view of the question that was being projected. As the game went on, when I pointed that out, I wasn't the only one who had noticed... we all did. The teacher and federal program representatives fell in love with the way Study Island and CPS worked together." **NOTE: This instance was using Study Island in conjunction with eInstruction's Classroom Performance System clickers, which are no longer available. However, this could be done with any review questions and any classroom clickers. "I use clickers with a bingo review game. I prepare ahead of time a lot of review questions on Examview and save them. Each student recieves 2 bingo cards. You can print these free. For bingo markers, I use the glass pebbles you can buy at the dollar store, but any type of marker will do. I bought a bingo game at the dollar store for $5, but in the past made my own bingo balls. To make my own bingo balls I bought poker chips from the dollar store and on each one I wrote the number (B 5 etc.) with a permanent marker. I put them in a basket and pulled from that. How I play the game: A question will appear on the screen and everyone in the class answers it. If 70-84% of the class gets it correct, I pull one Bingo ball. If 85-99% get it correct, I pull 2 bingo balls. If 100% of the class gets the question correct, I pull 3 bingo balls. The students mark their cards. If a student gets bingo, no one else dumps their cards. The winning student pulls from a bag that has chips marked with the numbers 1-5 and this tells them how many extra points they can add to their test. We continue playing. 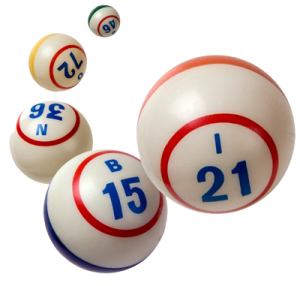 If someone gets bingo twice, then they are done playing but get to pull from the candy bag; they continue to answer questions with the class. The students love the game and learn and review at the same time." 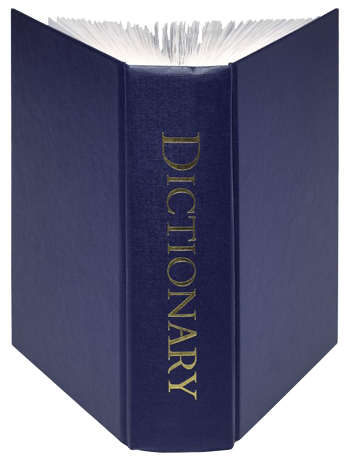 Dictionary Day is celebrated on October 16th, the birthdate of Noah Webster. You can celebrate Dictionary Day with clickers and still introduce new vocabulary at the same time - no matter what subject matter you are teaching. You can also use this game, which is probably best suited for 4th grade and up, for simply a fun vocabulary expander or for practicing a different style of writing - writing like a dictionary! The teacher chooses a word that no one can define and writes the definition on an index card. Each student (or group of students) makes up their own definition and writes it on a similar index card. The teacher then reads the definitions and students vote using clickers to determine the definition that got the most correct votes. Players earn 1 point if they pick the correct definition, and they also earn a point for every vote their definition gets. You might have played this as the party game Balderdash or a game called Fictionary. Call it what you want, but it can really become hilarious when students get creative with their definitions and start to get the hang of "writing like a dictionary." Review Games Using Clickers: To Tell or Not To Tell? So, it's Monday and you've decided to include one (or more) of your favorite reivew games using clickers in your lesson plan to take a break from the classroom routine and review the unit you are currently teaching. Do you tell your students you'll be playing a game on Friday or do you surprise them? If your goal is to encourage teamwork and interim study before the planned game day...announce you will be playing a game on Friday. If your goal is to encourage active classroom listening and nightly study and reward those who have been actively learning the information you've presented...surprise them!